Today I’m so excited to feature a guest post from my friend, Dominique, of Gusto & Grace! I absolutely love Dominique’s creativity and style, her recipes and home decor are always so perfect. Go follow the Gusto & Grace blog and like the Gusto & Grace Facebook page! This is my first Thanksgiving as a married woman. My husband and I will be hosting both sides of our family this year. I am excited to spend this holiday in my new home and am thrilled to entertain. 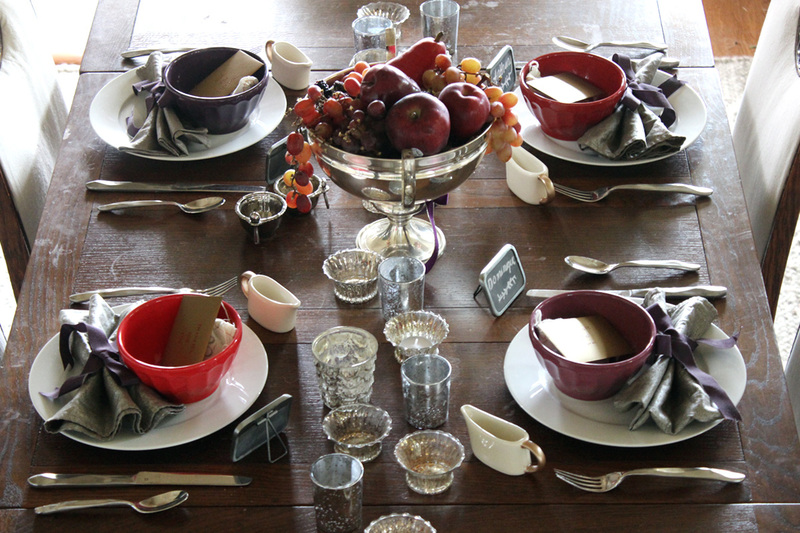 When thinking about how I would set the Thanksgiving table I decided to steer away from the traditional browns, yellows, and gold. I still wanted the color scheme to be warm, cozy and fall. Thinking candy apples and mulled wine, I opted for reds and purples. 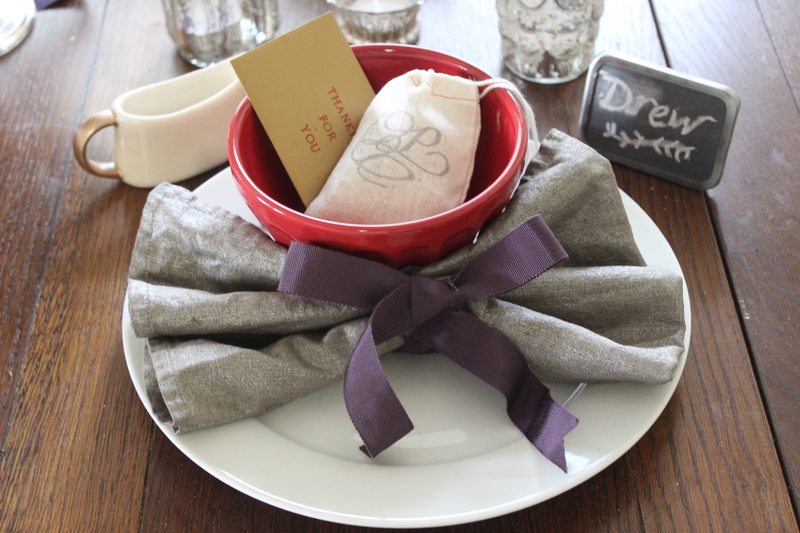 For each place setting, I used white plates, red or purple bowls, silver napkins tied with plum ribbon, mini gravy boats I painted, and chalkboard place cards. I thought it would be fun to create favors for each guest, so I picked up some bulk mulling spices from Central Market and filled small muslin bags that I had leftover from our coffee wedding favors. I made the “So Thankful for You” embossed gold envelopes and placed an instruction card for making apple cider inside. 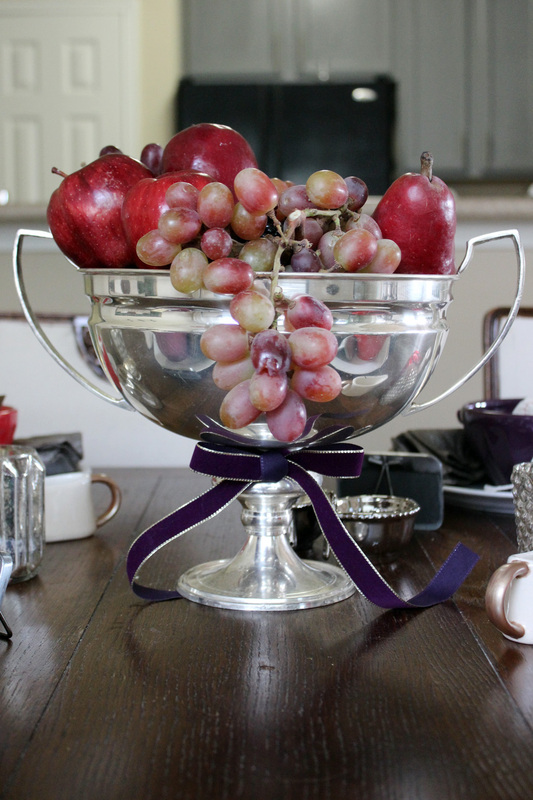 For the centerpiece, I filled a silver vessel with red and purple fruits such as grapes, blackberries, apples, and a red pair. Pomegranates and cranberries would also be great. I also used about a dozen mercury glass votives down the center of the table. 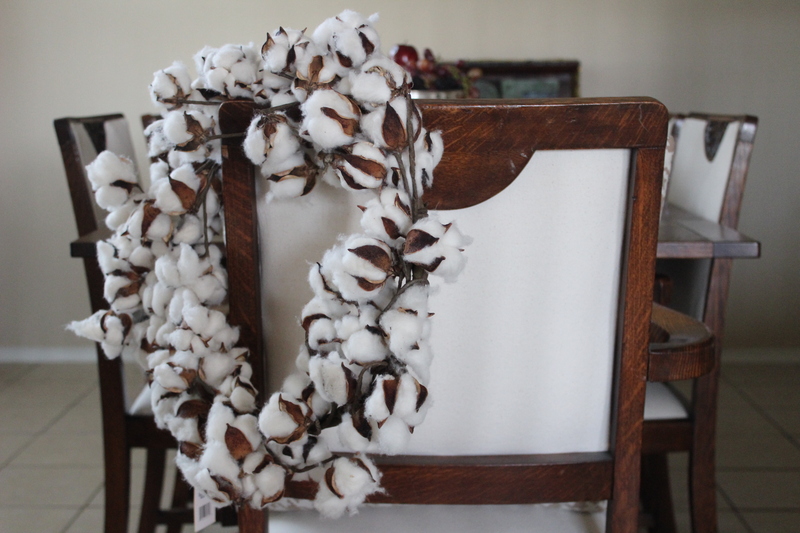 The natural cotton wreath I bought this fall makes me think of Shae’s DIY one! Mine is in serious need of a bow. Burlap maybe? 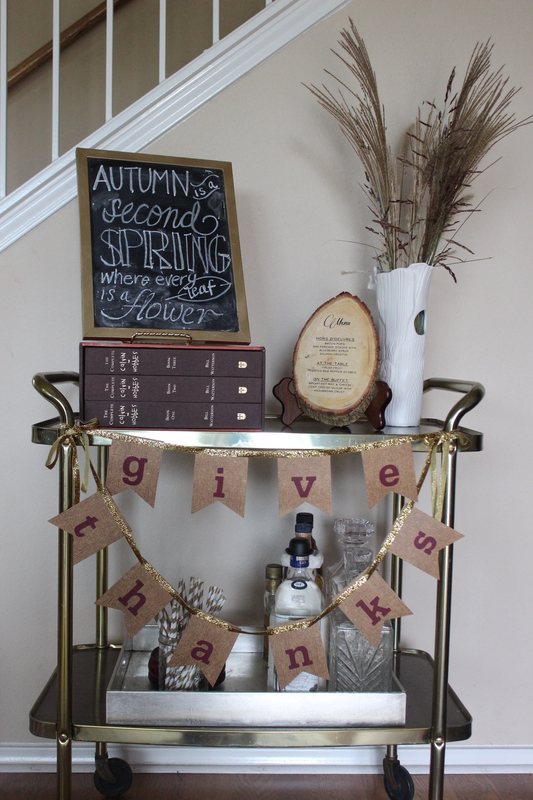 I decided to also style my bar cart for fall. I collected grass from the greenbelt behind my house to fill a vase, brought out my gilded wood wedding menu which I am considering recreating for my Thanksgiving menu, wrote on my small chalkboard, and set it on top of my husband’s Calvin and Hobbes set.